Of many great Italian designers of the past century, Ettore Sottsass is the most difficult one to grasp. Initially trained as an architect, throughout his life Sottsass has produced work that spanned many disciplines, media and types of production. From critical design developed with radical group Memphis to industrial design projects – among which stands out the timeless Olivetti portable typewriter Valentine – Sottsass has marked the discipline’s course and his work is still reflected in projects developed by contemporary young professionals. 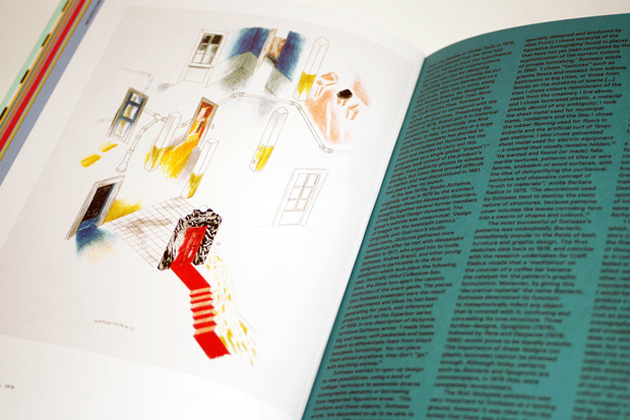 Nevertheless, until recently, a comprehensive reading of Sottsass’ life and work appeared to lack. Bits and pieces of his work and thought were scattered around in different volumes, such as Barbara Radice’s “Memphis. Research, Experiences, Results, Failures and Successes of New Design”, which offers a critical reflection on the Memphis period, rather than Sottsass’ autobiography “Scritto di notte”, revealing his youth years and an unconventionally free approach to life. 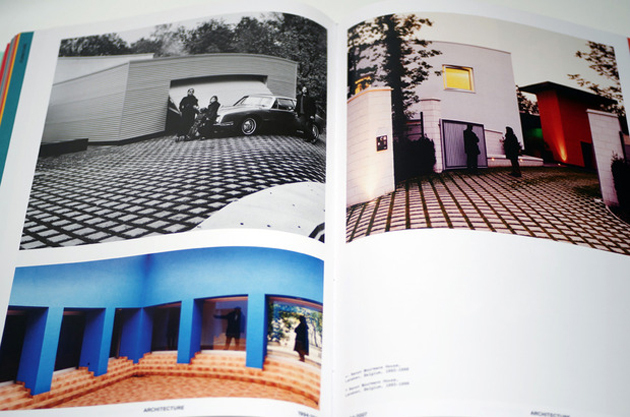 For this reason, Phaidon’s monograph on Ettore Sottsass was a highly anticipated and much needed work. Edited by Philippe Thomé, this monumental volume aims at revealing the complexity and eclecticism of the designer’s work by dividing the book both chronologically and thematically. Therefore, each subsection of the book – whose complex and at times too bold graphic design reflects perhaps the density of its subject – is divided into different chapters based on the type of production – ceramics/glass, furniture, sculpture/painting, architecture, jewellery, etc. 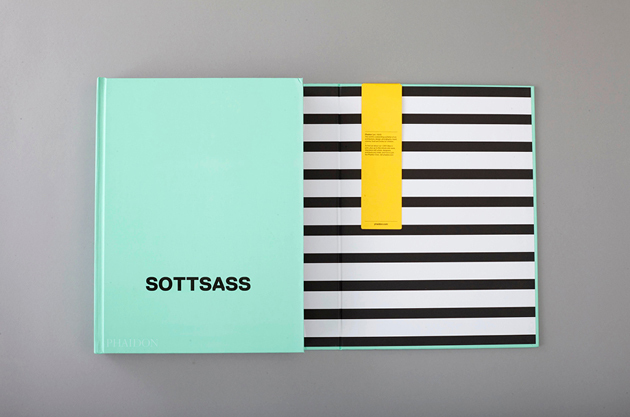 – offering a comprehensive and clear vision of the evolution of Sottsass’ thought. Thomé, a Swiss scholar who wrote his doctoral theses on Sottsass, complemented the meticulous research work with essays by Francesca Picchi, Emily King, Andrea Branzi or Deyan Sudjic, as well as with precious and utterly exciting inserts of Sottsass’ characteristic sketches. With more than 500 pages and 800 illustrations, the book’s sheer volume stands as a reminder of the depth of Sottsass’ achievement.